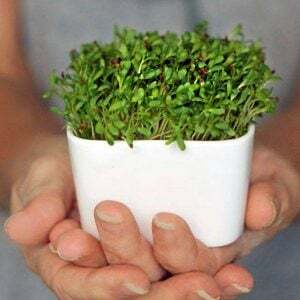 Microgreens are exactly what they sound like. Teeny, tiny versions of various greens. They’re mainly used as a garnish, but don’t be fooled by that. There’s a huge amount of flavor and nutrients packed into those teensy leaves.